This is full surrender. Then Krishna assures, aham tvam sarva-papebhyo moksayisyami ma sucah, He will protect. So tams titiksasva bharata. There are so many disturbances. So Krishna says tolerate, and do your business faithfully. 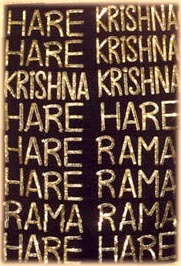 Chant Hare Krishna, follow the rules and regulations, and remain fully surrendered at the lotus feet of Madana-mohana. There will be no more disturbance." *Special thanks to Anandamaya das for his beautiful Deity photos from San Jose, California.